The form is like a “gacha-gacha,” the capsules in which small toys are packed, with a straight line in the middle of the egg shell. However, the chicken cage was locked and there was no sign of a break-in from outside. 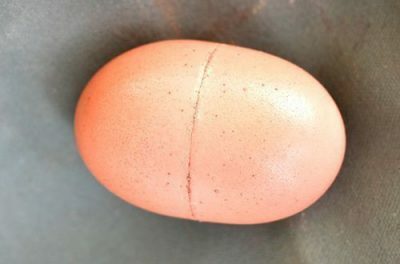 The egg also felt like a normal egg. 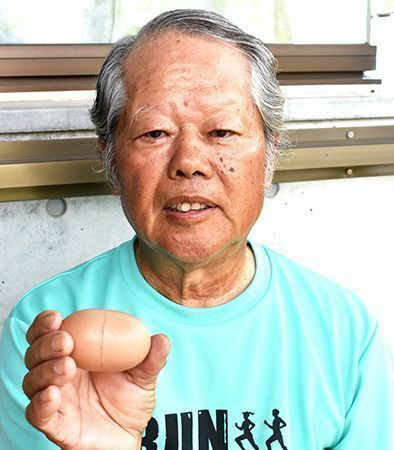 Teruo Kinjo, a 54-year-old animal doctor at the Okinawa Zoo and Museum, was also surprised to see the egg, saying, “I’ve never seen an egg like this.